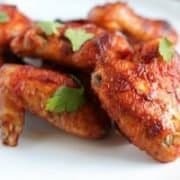 Make the seasoning: Whisk the seasoning salt, red pepper flakes, cayenne, poultry seasoning, lemon pepper and 2 teaspoons black pepper in a small bowl. Set aside 2 tablespoons seasoning in a separate bowl. Rinse the wings under cold water and place in a shallow baking dish. Sprinkle with the seasoning, then refrigerate, covered, 1 hour. Make the batter: Whisk the eggs, hot sauce, red pepper flakes, cayenne and 1 teaspoon black pepper in a medium bowl. Put the flour in a shallow dish or pie plate. 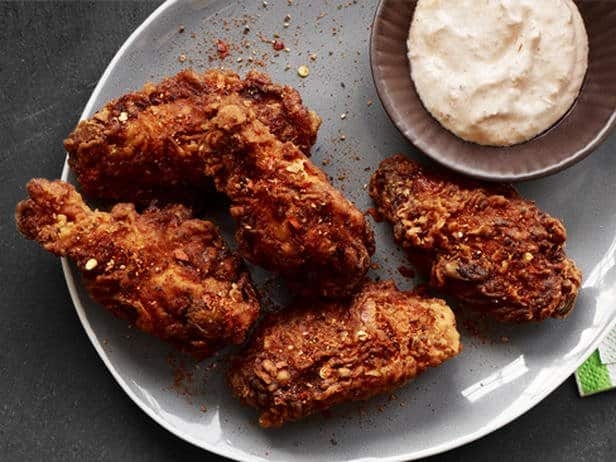 In a large deep fryer or Dutch oven, heat 2 inches of vegetable oil until a deep-fry thermometer registers 350 degrees F. Dip the wings in the eggs, then in the flour. Place the wings, three at a time, in the hot oil and fry until golden, 8 to 10 minutes, turning occasionally. Transfer to a paper-towel-lined baking sheet. Make sure the oil returns to 350 degrees F before adding the next batch. 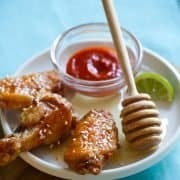 Sprinkle the wings with the reserved seasoning to make them extra hot. Make the sauce: Mix the sour cream, horseradish, chili sauce, cayenne, and salt and black pepper to taste. 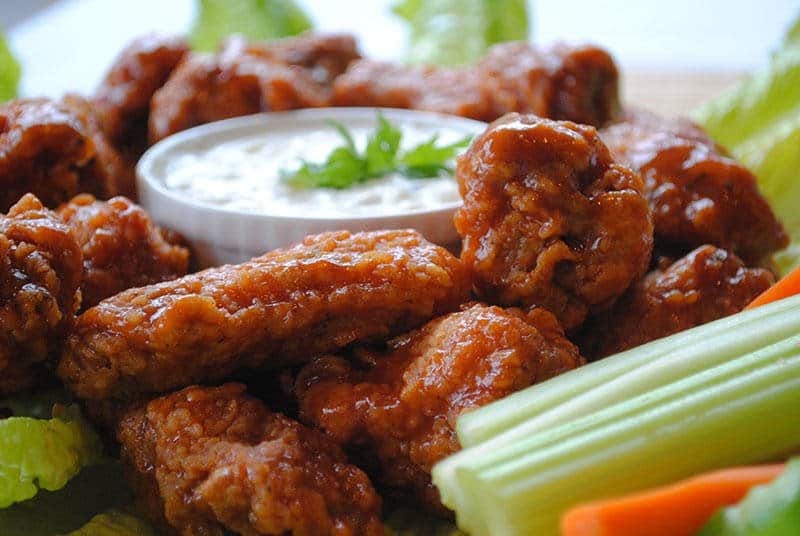 Serve with the wings. 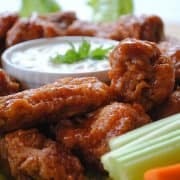 Marinate wings in 1 cup of vinegar for an hour at room temperature. Saute onion and garlic in the butter for a few minutes. Over medium heat stir in orange juice, honey, and ½ cup of vinegar. Bring to a boil, then reduce heat and simmer for 10 minutes, stirring occasionally. 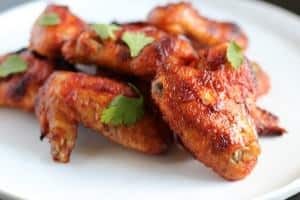 Remove wings from the marinade, pat dry, then sprinkle with salt, pepper, and chili powder. 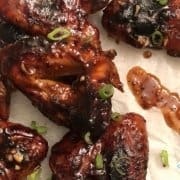 Place wings on bbq preheated to medium. Grill for approximately 20 minutes, basting with orange sauce.